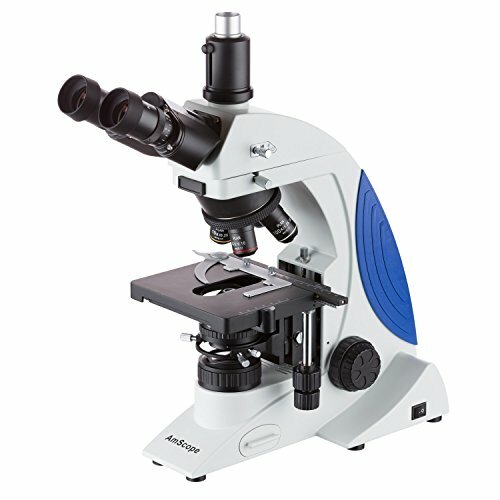 This brand new professional, research grade trinocular compound microscope comes equipped with a top of the line infinity Plan color corrected optical system, and offers research grade performance. Its crystal clear optics and precise mechanical adjustment systems promise the best quality performances for advanced applications. The backward nosepiece design allows copious room for easy and convenient operation. 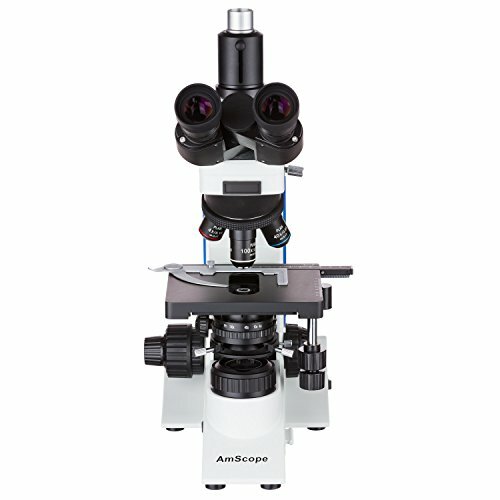 This microscope has four high quality Infinity Plan objectives (4X, 10X, 40X, 100X), a pair of extreme widefield 10X eyepieces, a Kohler illumination system, a 30-degree incline on the ocular tubes for comfortable viewing, 360-degree swiveling, compensation-free trinocular head, a coaxial coarse & fine focusing system, and a 3D mechanical stage. 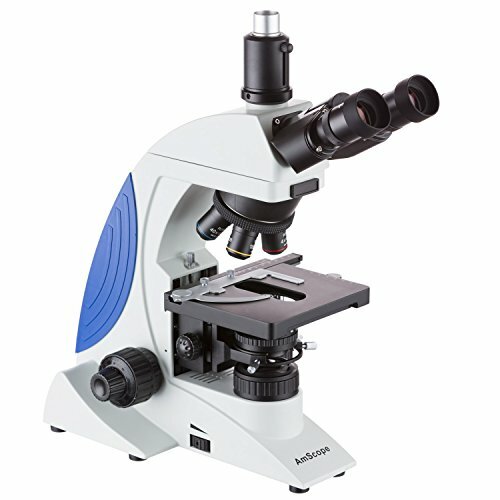 It provides four levels of magnification: 40X, 100X, 400X, & 1000X. It is an ideal instrument for advanced research organizations, laboratories (especially start up labs), hospitals/clinics, and collegiate institutes. 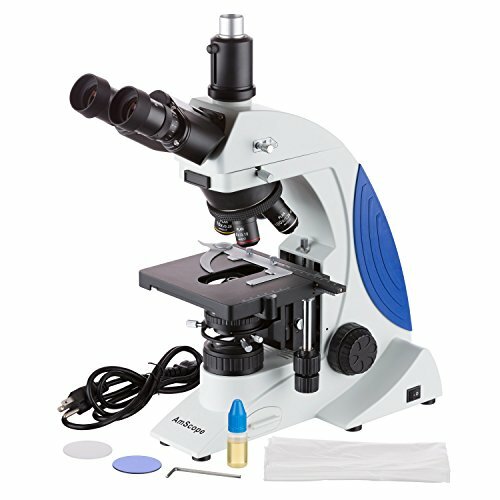 Purchase AmScope T610-IPL 40X-1000X Plan Infinity Kohler Laboratory Research Grade Trinocular Compound Microscope at Discounted Prices ✓ FREE DELIVERY possible on eligible purchases.